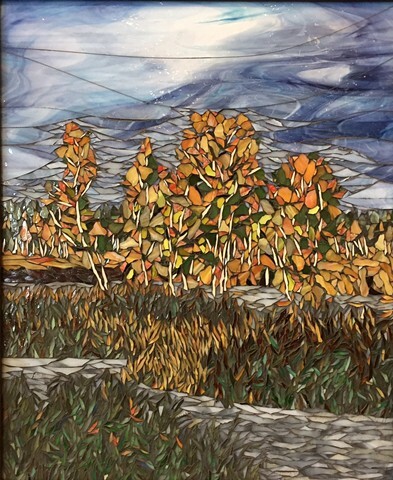 This mosaic has a moody feel with the darker sky.The purplely-blue sky is a great complement to the orangey trees. The sky color also has an affect on the color of the water. This is a really nice piece.